IT'S NATIONAL PEACH MELBA DAY! I have never tasted the dessert before, but if it tastes anything like this tisane, I will definitely have to seek it out! This is really quite good. 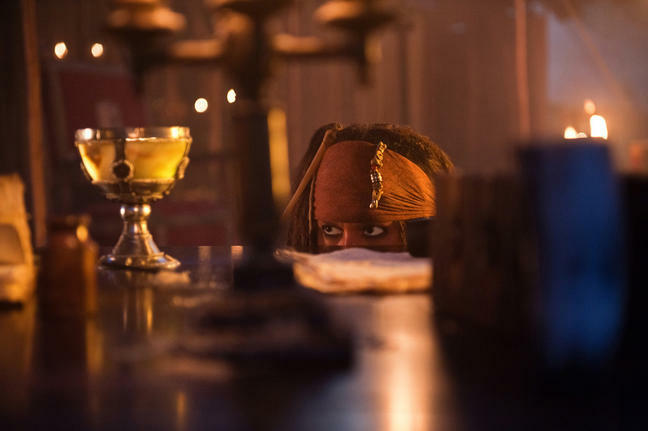 The overall flavor is sweet and fruity, but it isn’t cloying or too fruity. The fact that the rooibos flavor is rather indistinct in this blend is a plus. I am getting mere whispers of nutty notes from the rooibos, but what I am mostly tasting is a juicy peach and creamy vanilla! 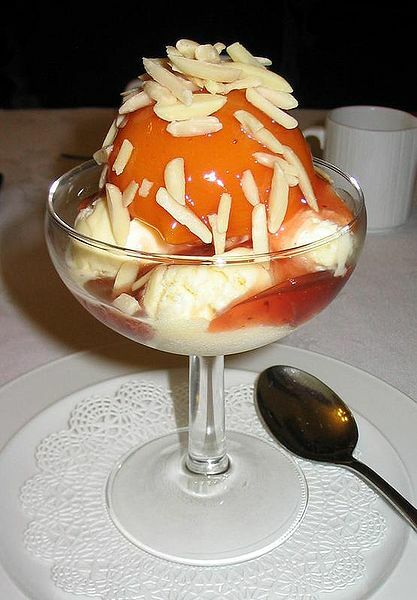 The peach tastes sweet, but it isn’t a sugary sweet flavor that I imagined it would be given that a Peach Melba is vanilla ice cream topped with peaches and raspberries that have been reduced into a sauce. (Or at least, that is what I think a Peach Melba is supposed to be… if it’s something different, please feel free to comment and set me straight!) The vanilla is smooth and creamy. The only thing that seems to be missing is the raspberry. Yum! This tisane makes for a delightful treat any time of the day and is especially nice in the evening since it’s caffeine free. A black tea blend with the sweet aroma of white chocolate and apricot. Yesterday, I reviewed a tea called White Christmas from Harney & Sons. Today, I am reviewing a tea by the same name – and yet, the two are very different teas, indeed! 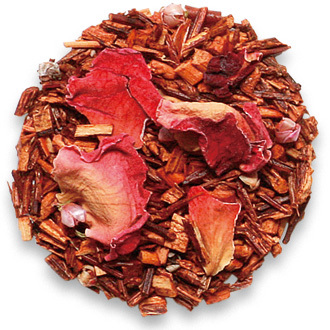 This tea offers a robust black tea base that is quite invigorating. It would serve well as a morning tea, or if one is in need of a little afternoon pick-me-up, this tea would fit that bill as well. There is a bit of astringency to this cup, but it doesn’t overwhelm. I will say that I steeped this tea for 4 minutes and notes of bitterness were starting to emerge, so I recommend steeping for 3 to 3 1/2 minutes maximum to avoid the bitter notes. Fortunately, these notes of bitterness were not detracting from the overall deliciousness of the tea. When I had previously read about this tea, I knew that it was a white chocolate and apricot tea. But what I smelled when I first opened the pouch, and what I tasted with my first sip was a nutty essence! At first, I thought my memory must be playing tricks on me and that White Christmas was in fact a nutty flavored tea, and 0ne of the other teas in the holiday sampler was a white chocolate apricot. But no, as you can read by the company’s product description (above) – this is definitely an apricot and white chocolate blend. That being said, there is a definite nutty quality to this tea. That isn’t a bad thing – because I find that it rather compliments the apricot and white tea flavors, and it gives the overall flavor a toasty, baked kind of essence, like fresh baked tea cakes! The apricot flavor intensifies as I continue to sip on this tea. It starts out mild, and by about mid-cup, the flavor is much stronger. The white chocolate is very nice here and provides a very pleasant creamy taste and texture to the cup, with faint notes of sweet chocolate that also intensify as I get closer to the bottom of the cup. I really like this tea! I don’t know if this is a tea that Lupicia keeps around all year or not, but, if they do, I highly recommend getting some as soon as you can! Yum! A bold black tea blend with the sweetness of chestnuts roasted on an open fire. I really love chestnuts but I am not able to capture that “roasted chestnut” flavor when I buy chestnuts and attempt to roast them myself … which leaves me feeling … well, a little cheated, actually. I mean, chestnuts aren’t exactly cheap. And try as I might, I cannot seem to roast chestnuts just right, like the way I would get them at a holiday festival. 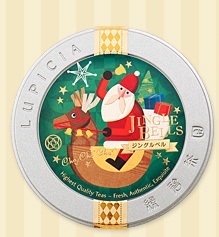 But, Lupicia has managed to capture that delicious essence of roasted chestnuts with this tea! There is a bitter nutty flavor that approaches the palate first. That pleasant bitter nut taste doesn’t sit there for very long though, and is followed by a creamy, smooth, buttery sweetness that reminds me of the flavor of a freshly roasted chestnut. The black tea base is bold and has a slightly smoked note that lingers in the aftertaste. There is a strong astringency with a gentle dryness to it that lends a certain starchy kind of essence to the cup. It is a very flavorful black tea, and one that is strong enough to work as a morning tea. This tea makes for an absolutely delightful cup for those of us who love the flavor of roasted chestnuts but can’t seem to get it right when we try to roast them ourselves! Why bother, when all we need to is brew a cup of this fabulous tea! A winter holiday black tea blend with yogurt and citrus fruit flavors. 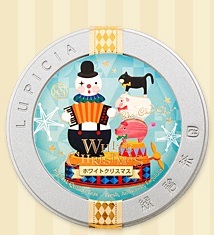 Another thing that I like about Lupicia – they march to the beat of their own drummer. When other tea companies are rolling out their holiday teas comprised of spices, cranberries and pumpkin, Lupicia has their own idea of what holiday teas should be. The “Carol” tea is strawberry, vanilla and coconut. The “Joyeux Noel” is chocolate and apricot. You get the idea, right? And this… their “Jingle Bells” tea, which is also part of their holiday collection, is black tea blended with the flavors of citrus and yogurt, giving me a creamy, delicious dessert in my teacup! The black tea base is fairly mellow and very delicious. It has a rich, smooth character but it doesn’t attempt to protrude onto the flavors of the citrus and yogurt. The citrus tastes mostly like orange to me. It is sweet with just enough tartness to keep it interesting without making me pucker. The yogurt gives it a creamy flavor and texture. What this tastes like to me is a creamsicle that’s been melted in a cup of Ceylon tea! Not a bad taste at all! I like this hot, and perhaps that’s just the cold weather talking (because this time of year, I prefer just about every tea hot), but I find it to be very comforting and relaxing – which is somewhat remarkable to me since this is a black tea. A really nice tea to sip inside (roaring fire in the fireplace is optional) while it’s cold and wet (or snowy!) outside. Along with Lupicia’s October Newsletter came a sample of this tea. I was originally going to publish this review right around Halloween, however, after tasting it, I decided it must be published on Thanksgiving! It tastes like it should be on the holiday dinner table, right next to the cranberry sauce and turkey! I can’t get over how much this tastes like sweet potatoes. 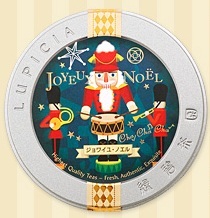 Lupicia has captured that flavor very well and combined it with a black tea base that melds with the flavor perfectly. The result is a flavored black tea that nails the flavor “spot on” without losing the flavor of the black tea. Now… I must backtrack a little here, because I can’t say with 100% confidence that the flavor is “nailed” “spot on” because I’ve never tasted sweet potato pie. But I have eaten my share (perhaps more than my share) of sweet potatoes – one of my favorite vegetables. And this DOES tastes “spot on” like sweet potatoes. I can also taste a baked-pastry kind of taste in the backdrop. It is not as strong as the dominant sweet potato flavor, but it’s there. There is also a very pleasing buttery taste to it. The black tea has some astringency to it, but it is not bitter. It is smooth and rich, and in perfect harmony with the flavoring. Happy Thanksgiving! May your home be warmed with the presence of family and good friends, a bounty of nourishing food and delicious TEA!